Charities, community groups and sports clubs in the Canterbury region will have their storage or parking dilemmas solved if they win one of two fully installed garage door and opener packages being donated by local manufacturer B&D Doors. Drafty, leaky or jammed? Does your local community group need a new garage door? B&D Doors donates $9,000 worth of garage doors to Canterbury groups in need. The promotion, a partnership between B&D Doors, Mainland Press, and its new title Selwyn View, gives charities, sports clubs and community groups the chance to win one of two garage door and automatic opener packages. Valued at up to $4,500, the prize-winning packages will each be supplied and installed by B&D Doors’ dealerships, Garador and Dominator. Groups simply have to put in 250 words why they are most deserving, and submit their entry plus photos to Mainland Press by 19 March 2012. Entries will be judged by Tim Dalzell from B&D Doors, Selwyn District Mayor Kelvin Coe, and Mainland Press Special Projects Manager, Gareth Bines. “We’re delighted to have the chance to give something back to Canterbury. We’ve been a strong local manufacturer for many years, employing 70 people at our Bromley site. Our factory was hit hard in February 2011 but with everyone pulling together, and great support from suppliers, distributors and customers, we were back into full production within a week and have managed to retain all jobs on site,” says B&D Doors NZ Country Manager, Tim Dalzell. “It’s an achievement we’re proud of when so many businesses are forced to question their ability to stay in the region,” says Tim. So, if your group or club is sick of that drafty, leaky or jammed garage door, put pen to paper and send your entry plus photos in to gareth@mainlandpress.co.nz by 19 March and be in to win. 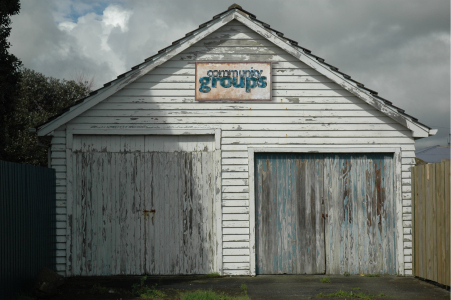 Does Your Community Group Need A New Garage Door?